Greece's last-minute overtures to international creditors for financial aid on Tuesday were not enough to save the country from becoming the first developed economy to default on a loan with the International Monetary Fund. 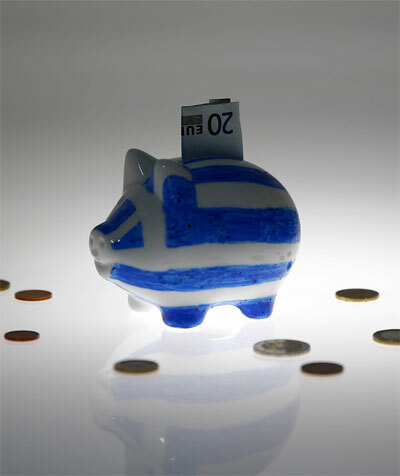 The IMF confirmed that Greece had not made its scheduled euro 1.6 billion loan repayment to the fund. As a result, IMF managing director Christine Lagarde will report to the global lender's board that Greece is "in arrears," the official euphemism for default. Fears of a Greek default have unnerved financial markets on concerns that it would ultimately lead to the country's exit from the euro common currency. The fate of Greece's membership in the 19-nation currency bloc still hangs in the balance ahead of a referendum on Sunday when Greek citizens will vote on whether to accept the austerity terms of continued international aid. President Barack Obama said on Tuesday the financial crisis in Greece should not create a major shock for the US economy, but warned that its fallout could dampen global growth. IMF spokesman Gerry Rice said Greece can now only receive further funding from the global lender once the arrears are cleared. He confirmed that Greece asked for a last-minute repayment extension earlier on Tuesday, which the fund's board will consider "in due course." The left-wing Greek government's 11th-hour bid for an extension of its international bailout and a two-year funding and debt restructuring programme offered no concessions to creditors' demands for economic reforms, according to text seen by Reuters. A one-page letter from Greek Finance Minister Yanis Varoufakis to the chairman of the Eurogroup of finance ministers of the euro zone said Greece was "fully committed to service its external debt in a manner that secures the viability of the Greek economy, growth and social cohesion." But it made no mention of the conditions set by Greece's three lenders - the European Commission, the European Central Bank and the IMF - for releasing frozen aid to avert defaulting on the IMF repayment. Instead, Varoufakis cited legal grounds for requesting a two-year loan of an unmentioned amount. "The loan will be used exclusively to meet the debt service payments of Greece's external and internal debt obligations," he wrote. It was not clear whether that includes payment arrears to Greek government suppliers, civil servants and others. The letter went on to say, "Until this loan is agreed and in force, Greece requests for the programme to be extended by the Eurogroup for a short period of time in order to ensure a technical default is not triggered." Before the payment deadline, Varoufakis indicated on a call with European counterparts that Athens might scrap the upcoming referendum if a deal was reached, according to euro zone sources. But the latest Greek proposals came too late to prevent Greece's existing aid package - with locked-up funds it needs to pay wages, salaries and debt - from expiring at midnight. 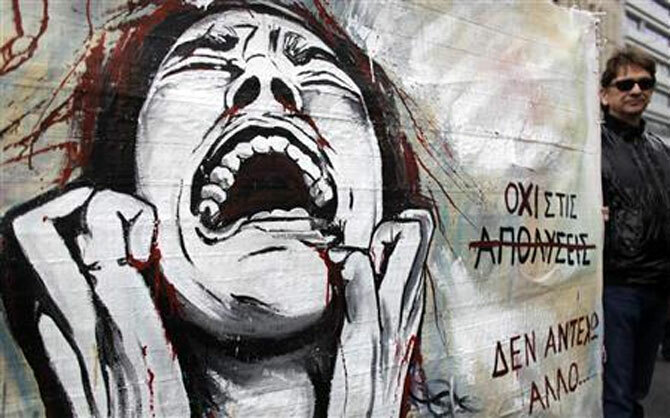 Now, Greece will lose access to a euro 1.8 billion loan tranche and 10.9 billion euros for recapitalising banks. The flurry of diplomacy came as tens of thousands of people descended on Athens' central Syntagma square over the past 24 hours in two different rallies - one to reject additional austerity measures and the other to push for Greece to agree to the terms in order to keep the financial spigot open. 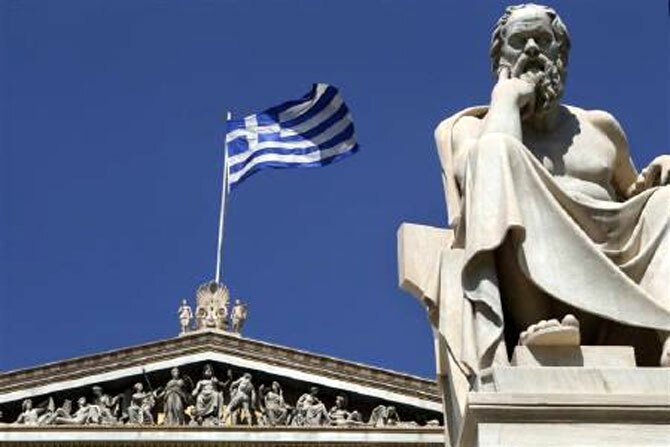 In a sign that European officials have not given up on finding a solution, finance ministers said they would confer on Wednesday over Greece's latest loan request and debt restructuring. It was unclear how much the Wednesday call could achieve. Trust between Athens and European capitals is in tatters after five months of acrimonious negotiations, and the relationship further deteriorated after Athens on Saturday decided to put creditors' proposals to a referendum. Greek Prime Minister Alexis Tsipras has said the plebiscite is the democratic way for Greeks to decide if they will accept more budget cuts and taxes in return for international aid. He has urged a "No" vote. German Chancellor Angela Merkel has ruled out further negotiations until after Sunday's referendum. Jeroen Dijsselbloem, chairman of the euro zone's group of finance ministers, warned that Athens was welcome to ask for new aid but that it would come with conditions. "What can change is the political stance of the Greek government that has led to this unfortunate situation," Dijsselbloem said. In what appeared to be a further attempt to gain traction with creditors, Varoufakis indicated during Tuesday's call that Athens might urge Greeks to vote in favour of bailout terms if a deal on a new loan was reached, the euro zone sources said. Yes or no to euro? Greece has received nearly 240 billion euros in two bailouts from the European Union and IMF since 2010. The money has allowed it to stay afloat but at a high cost to its population, which has absorbed cuts to pensions, wages and public services. It is the first time in IMF history that an advanced economy has defaulted on a loan from the world's financial backstop, putting Athens, whose economy has contracted by more than 25 percent since 2009, in the same bracket as Zimbabwe, Sudan and Cuba. On Tuesday, Fitch ratings agency cut its long-term rating on Greece to CC from CCC, saying the breakdown of negotiations had significantly increased the risk that Greece would not be able to meet its debt obligations in the next few months. With its missed IMF payment, Greece is on a path out of the euro with unforeseeable consequences for the EU's grand project to bind countries through a single currency and for the global economy. On Monday, Standard & Poor's lowered its sovereign rating on the country and said the probability of Greece exiting the euro zone was now about 50 per cent. "What would happen if Greece came out of the euro? There would be a negative message that euro membership is reversible," said Spanish Prime Minister Mariano Rajoy, who a week ago declared that he did not fear contagion from Greece. The imposition of capital controls to prevent the banking system from collapsing has given Greeks a bitter foretaste of what could follow exit from the euro. The government began a week-long shutdown of the banks and the stock exchange on Monday. Bank withdrawals are limited to euro 60 a day, and a crisis mentality has gripped the country, with people queuing at petrol stations and stripping supermarket shelves bare. "So far there are no problems with suppliers, but if the banks are still closed next week there will be a bit of a problem if they demand purely cash payments," said Charisis Golas, owner of a small meat and dairy shop in Athens. In Athens, opposition leaders - echoing EU officials - hammered home that the choice facing Greeks in the referendum is whether to stay in the euro zone or return to the drachma, even though the EU has no legal way of forcing a member state to give up the single currency. Former Greek Prime Minister Antonis Samaras, leader of the main opposition party, said a "No" vote would push the country out of the single currency and wipe out wages and pensions. Opinion polls show a majority of Greeks favour holding on to the euro, but the referendum is shaping up to be a close call.